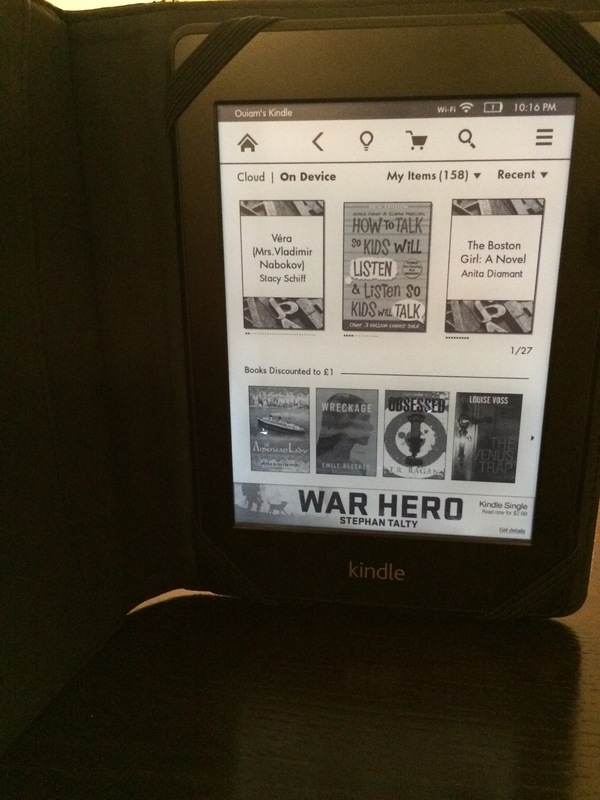 With summer, comes a renewed excitement for reading… At least for me! Even though I have been super busy lately, I always manage to find some free time for a good book! In my world, reading is like yoga, it is an inner shift from the endless to-do lists, the running around, the business of each day and just everything else. I try to read at least few pages before I can’t even keep my eyes open anymore and just collapse in bed with my kindle still on. Anyways here are the books I read last month and what I thought of each one! Enjoy!! 1- The Five Love Languages Of Children by Gary D.Chapman and Ross Campbell. I love reading parenting books, it is always interesting to learn new things about a topic I love so much. This book is about showing your kids love in ways they would see and understand, even when it comes to discipline. It talks deeply about each child and their different needs of love. 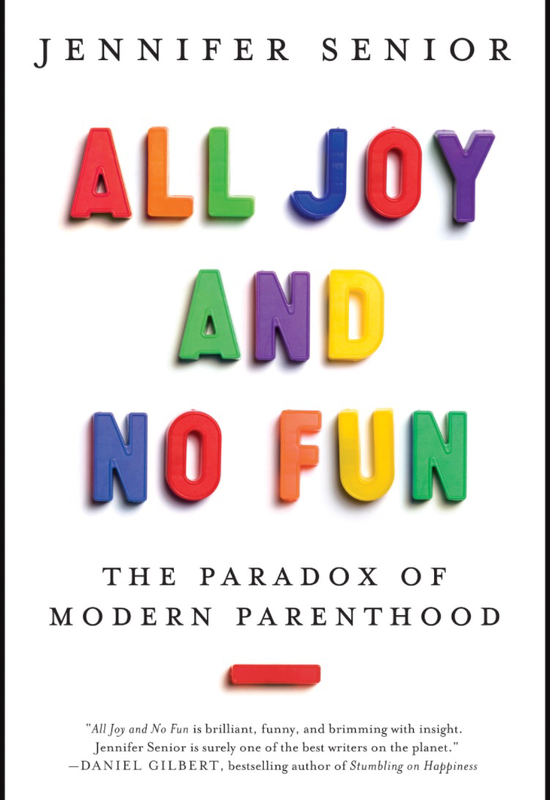 2- All Joy And No Fun by Jennifer Senior. I heard of this book from a TED talk. After I heard the author talking about how most parenting books talk about kids -obviously- but none of them actually talk about us, parents, and what we go through while bringing up these little munchkins. I thought I should definitely read it, because it felt new and enticing. Unfortunately, I have to say, she criticises everything, me and parents like me do! Her point is that basically we are doing too much and going way out of our way to raise our kids! Each page had me raise my eyebrows and scream: REALLY?!!?!! I love going way out of my way to raise my son! I love being tired at the end of each day knowing that I did my best to be a good mother! I enjoy spending my whole day focusing on my son! I love doing it and it makes me happy! I am not miserable as you state Miss Senior! Actually my son brings only happiness and joy to my life! However, the book is full of interesting facts and studies, and I would read it again for that! 3- The Glass Castle by Jeannette Walls. Now THIS is a great book! I loved it! I admired Jeannette’s courage to write about such delicate things in her life! Throughout the book I felt excited, sad, enraged, happy and relieved. Jeannette tells us about her childhood with, let’s just say, abnormal parents! I liked the fact that in her early years it was fun doing new things and it made me think of all the things I can do to make my son’s childhood special, but as she grew older things got weirder! I really recommend this book! It was awesome! Let me know if you read any of these books, and what is currently in your reading list? 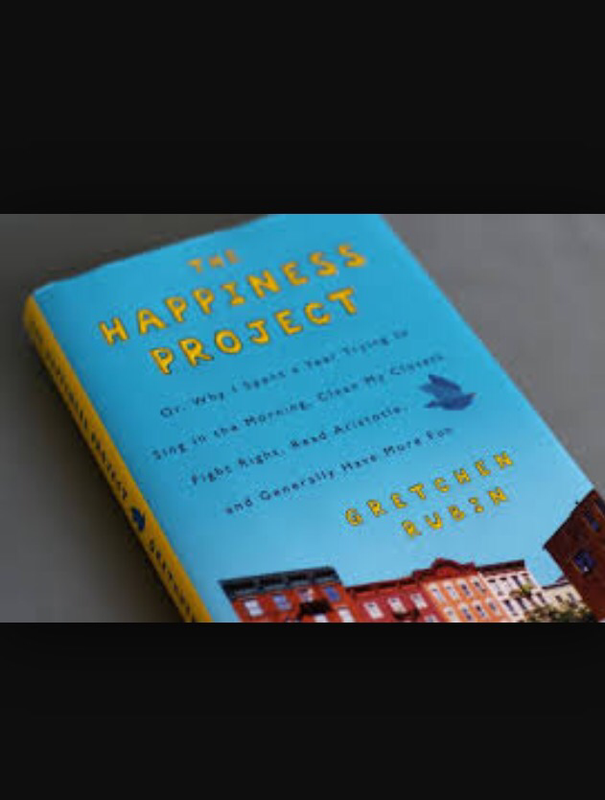 1-The Happiness Project by Gretchen Rubin: If you have been reading my blog for a while, you would notice that I have recently read one of Gretchen’s other books, and I really loved it, therefore, I decided to read another book of hers. As the title states, it is a project done by Gretchen, in one year she wanted to tackle all the areas that she thought would make her happier. This is not a “Self-help” book, as much as it is a journal, where she kept track of her journey into being a happier person, what she did and did not, what she liked and what she didn’t and of course the final result! And just as her previous book, this one gave me plenty of ideas and mainly pushed me to start my own “Happiness Project”! A Must Read!! 2-How To Talk So Kids Will Listen & Listen So Kids Will Talk by Adele Farber and Elaine Mazlish: I know, the title is a little ….hmmm, how should I say that? Let’s just say a little strange lol, however, the content of the book is highly engaging, with examples of each situation you might encounter as a parent and how to deal with it and make the most of it. Even though my son is only 16months, and the book talks mainly about older kids, it still helped me build a foundation of how I want to raise, educate and TALK to my son! If you are a parent then it is definitely THE book!! 3- Blood Feud:The Clintons vs. The Obamas by Edward Klein: Do you remember few months ago, when I talked about Hliary Clinton’s new book: Hard Choices? Right then, I really hopped that she would become the next president of the United State Of America! Not only because she was a female, but also because she saw things differently! She was the woman in the “pantsuit”! I admired how she wanted to be Hilary the woman, and not always Bill’s wife! I admired that she wanted to tackle Asia as a priority, when she was a secretary of state; and how she came out publicly about Benghazi, Putin, China and many more highly sensitive subjects! However after reading this book last month -If what came in it is 100% true of course, because you can never be sure when it comes to politics- then I am very confused! This book shows a completely different side of Hilary and most definitely, not the one she was displaying in her book! It also brought tons of facts about president Obama that I am sure many of us didn’t know of! Nevertheless, I must say I really enjoyed reading this book, and if I could vote, I would still vote for Hilary! 4- The Husband’s Secrete by Liane Moriarty: A perfect book for the summer! Cecilia thinks she knows her husband inside out, yet she is surprised to discover a dusty sealed envelope with : ” For my wife -to be- opened only in the event of my death” written on it! What a dilemma…! I really enjoyed this book! The beauty of every book is that it allows us to live more than one life! With every book, you fly to another world and get lost for hours. You might encounter a variation of feelings for the first time through one! For a moment, you forget who you are, what you do. You forget your worries and anxiety! And you live the story! Someone else’s story, as if it was yours! How magnificent is this!! Today i will share my list of recommended books, for the month of May. I have read these books last month, and i have loved every single one of them!! I hope you like and enjoy them too! 1- Better Than Before (Mastering the habits of our everyday lives) by Gretchen Rubin. 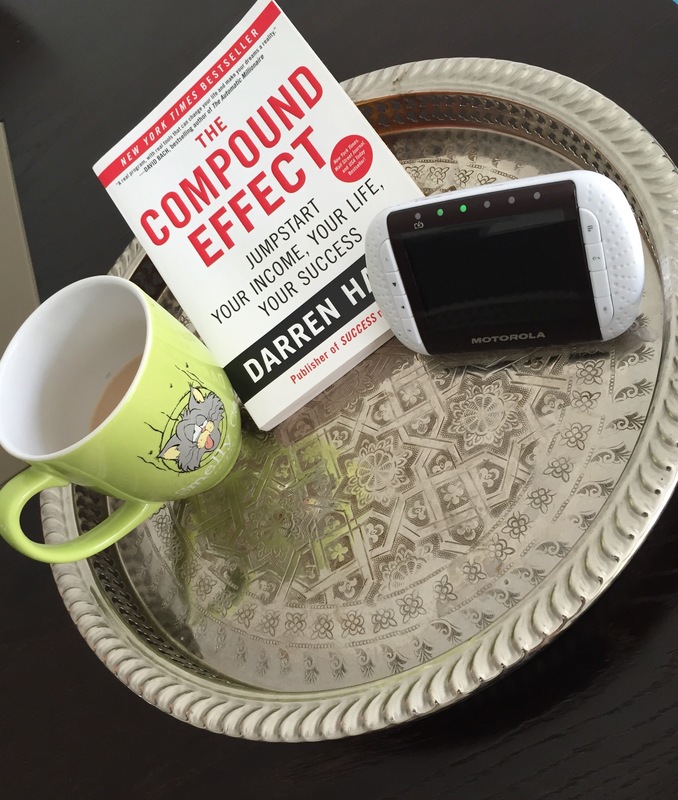 I am a creature of routine and habits make a huge part of my life, so i always try to look for ways to implement good ones and get ride of the unwanted ones, yet the books i have read so far, were not of a great help! This book though, is completely different, it talks -in great detail- about everything you would like to know about habits! It also shows you how to implement good habits or avoid bad ones according to your personality! Different charachters deal with habbits differently! I read this book few weeks ago and it already helped me a great deal! 2- Lots of Candles Plenty of Cakes by Ana Quindlen. This book is one of the very few ones, that kept me glued to my kindle for hours! I was mesmerised by her writing style! 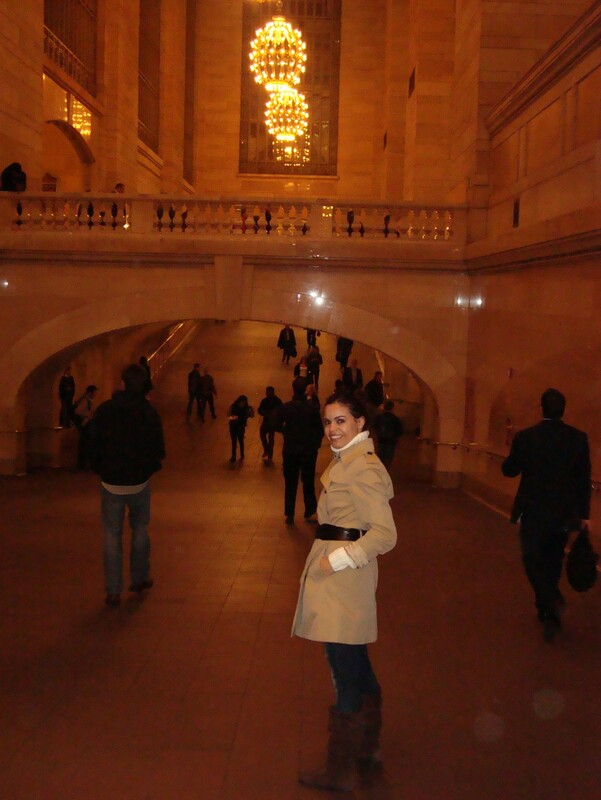 This incredible lady writes about looking back, in life, and looking ahead! And celebrating it all! In such a beautiful way, that you want to sing the words and write them in little post-it notes, and spread them all over your house! 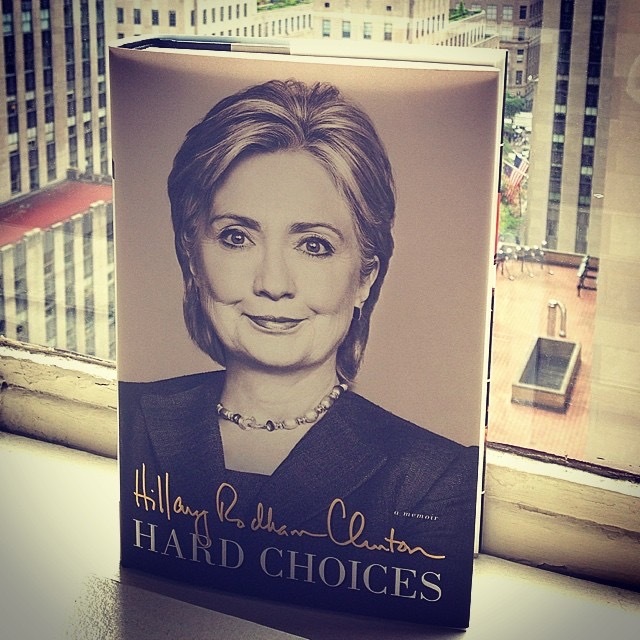 3- Hard Choices: A Memoir By Hilary Rodham Clinton. I had this book for few months now, but something was putting me off about reading it, (probably its size! It is a big book), Then one day i just grabbed it and started reading! And loved it! Hilary takes us in a ride of four years in the White House, nothing like Scandal though lol! This book changed few opinions i happen to have before! A really good read! 4- How to Meditate By Pema Chodron. A great guide if you want to make peace with your mind. The book talks about everything related to meditating: how, why, where! In a very simple and easy way that makes you wanna do it! Hope you enjoy these books the way i did! And i look forward to choosing new books for next month! Happy Reading! By nature, I am a total bookworm. When I was a kid, my dad used to buy me three storybooks every Saturday, and I would be so excited and eager to read them all, that I would stay up all night, and finish all three of them. Then, I keep on re-reading them until the next Saturday finally arrives! But really what’s better than having an hour or two – or sometimes five until I finish the book I started then. Some books have this effect on me- while sipping some tea and waiting for my eyelids to get heavy. I read anything and everything, really! I love words and sentences, and I think any book, in this world, is worth reading. Of course, I have my preferences, and every month, I spend hours on Google and Goodreads, checking for my kind of books. But my one rule has always been, FINISH THE BOOK YOU STARTED! No matter how ridiculous this sounds, I truly believe that every book is sacred and it is highly disrespectful to leave it unfinished. So every month, I download books on my kindle and buy few more on Amazon, because although I love my kindle, I still love to read an actual book. Flip the pages while the smell of the paper caresses my nose. However, I have to say that the kindle is much easier to carry around, especially when you are in the middle of reading few books at the same time, (always my case, the books I read in the morning are not the same ones I read at night). You just do not have to take all three (or five lol) books with you wherever you go, you just take your kindle! This month, and after a dear friend of mine, mentioned it, I will write a small review about some very interesting books, that I have read and greatly liked. And guess what? Yes i will do it every month (yaaay!!). 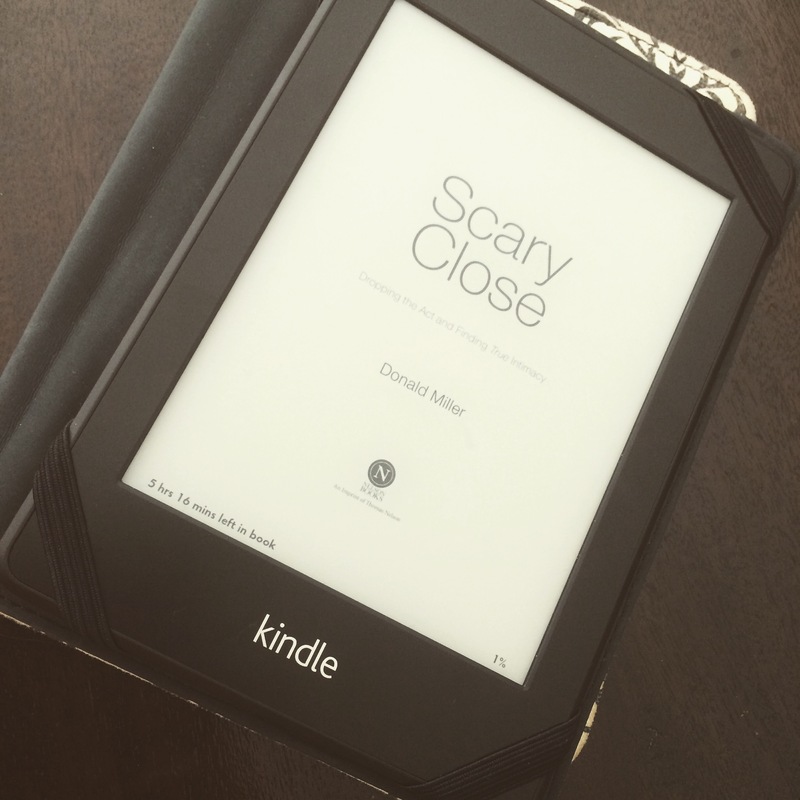 Scary close (Donald Miller): This book is simply out of this world. I usually do not like to read self-help books, so when I saw it on amazon listed as one, I hesitated. On the other hand, it was all over the web, and everyone was saying great things about it. So I decided to dig in. For people like me, who are interested in dropping the act and be themselves, this is definitely THE book! Quiet (Susan Cain): This book will enable you to really understand your own personality. It treats the controversy about how the world sees and thinks of introverts and extroverts. Such a great and inspiring book. Brain Rules For Baby (John Medina): a friend of mine recommended this book, and I just couldn’t put it down after i started it. If you have a baby, or about to have one, this book is a great read. It handles some very interesting topics, DOs and DON’Ts, while pregnant. TV: Yes or No and why?. How to handle tantrums. And many other interesting things. The invention Of Wings (Sue Monk Kidd): it is a book to get lost in, the writing and the storytelling is remarkable, short sentences that tell you everything you would want to know. Now your turn, what is the last great book you have read? Leave a comment and suggest one book to a friend (me!). what would you recommend?